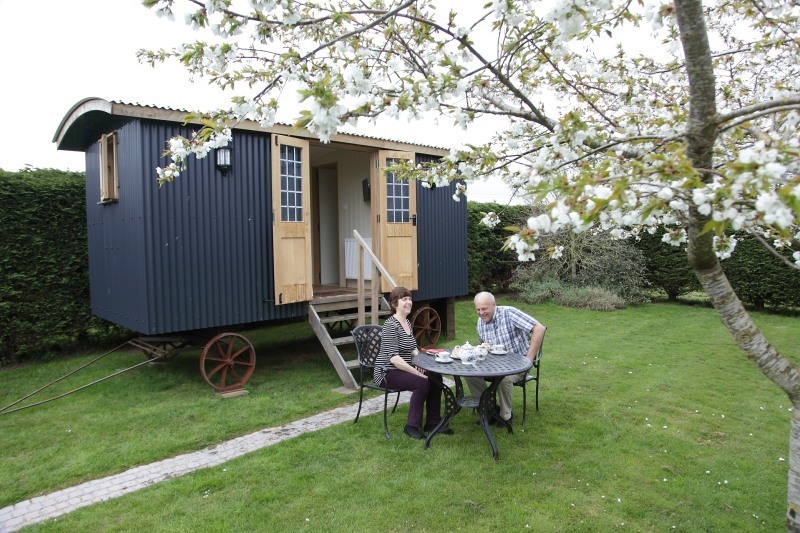 Set in secluded gardens, the Retreat is a Shepherd’s Hut converted to a very comfortable and cosy living space. 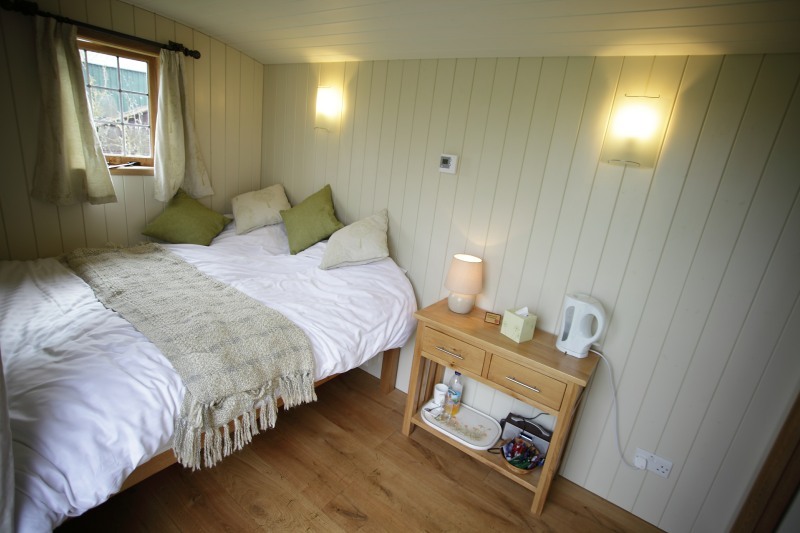 Accommodation comprises bedroom with double bed 6’3″ x 5′, side table, TV, radio, tea/coffee making facilities and en-suite bathroom. The retreat has full central heating, and there is an outdoor seating area for the warmer months.From £70 per person per night including breakfast.